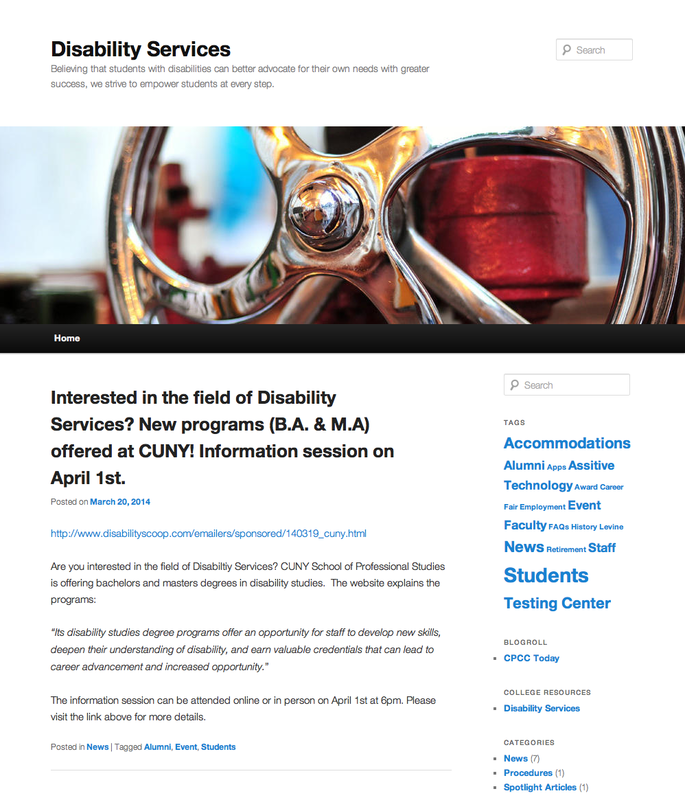 Disability Services has a BLOG! You Can Save a Life! “Project Life Project” Bone Marrow Registry Drives are Coming to CPCC Campuses! CPCC, together with Project Life (a national program dedicated to finding and enlisting college students as potential donors for bone marrow and tissue transplants) is partnering to educate CPCC students, faculty and staff on the importance of becoming a bone marrow donor. The CPCC Chapter’s first official event was held in February 2012, when it recruited more than 300 new donors to the National Bone Marrow Registry. LEVINE CAMPUS: February 20 from 9 a.m. – 3 p.m.
MERANCAS CAMPUS: February 26 from 10 a.m. – 1 p.m.
CATO CAMPUS: February 26 from 9 a.m. – 1 p.m.
HARPER CAMPUS: March 5 from 11:30 a.m. – 2:30 p.m.
CENTRAL CAMPUS: April 9 from 9 a.m. – 3 p.m. There will also be a Bone Marrow question and answer panel at Central Campus on Wednesday, April 2 from 12:30 – 1:30 p.m. to help dispel some of the myths about bone marrow donation. 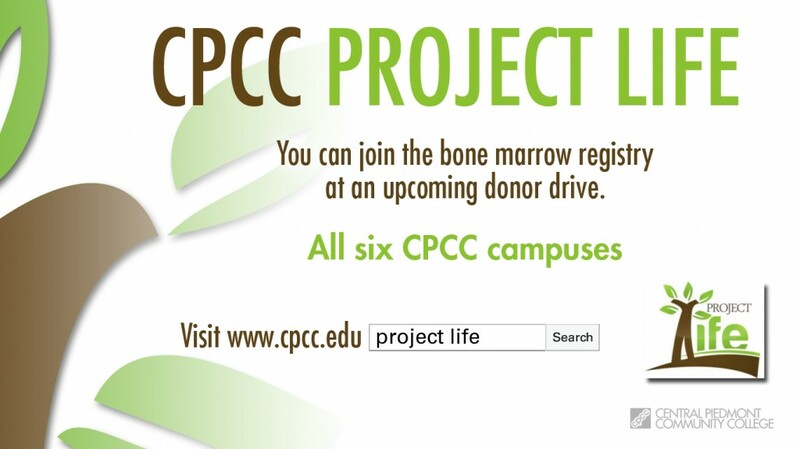 Project Life bone marrow registry is coming to CPCC! Getting typed is painless and entails nothing more than having the inside of your mouth swabbed. It’s that easy! Then what? You wait to see if your participation makes you a match and helps bring hope and healing to a person in need. Help save a life by joining us at one of our upcoming donor drives scheduled at a CPCC campus near you. The program began more than 20 years ago, when a group of students at Davidson College started a grassroots movement to identify college students as potential donors for the National Bone Marrow Registry. Since then, thousands of people have participated, and the program has grown to include an expanding number of college campuses in North Carolina. CPCC is proud to be included among these higher education institutions and house the first active Project Life chapter in the Charlotte metro area. Click here to watch a CPCC-TV online YouTube video about the Project Life Project! 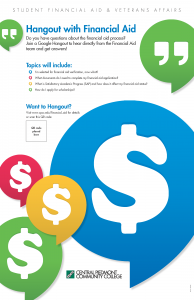 Hangout With CPCC Financial Aid! Do you have questions about the financial aid process? Join a Google Hangout to hear directly from the CPCC Financial Aid team and get answers! Title: I’m selected for financial aid verification, now what? Description: One out of every three FAFSA applications processed by the U.S. Department of Education and received by the CPCC Financial Aid Office are randomly selected for review in a process called “verification.” Applicants selected for verification are required to submit documents needed in confirming the accuracy of information provided on the FAFSA. This workshop is designed to allow students to ask questions related to the steps in the verification process and requested documents needed to complete their financial aid file. Join a financial aid advisor as they go through the verification process and answer any questions. 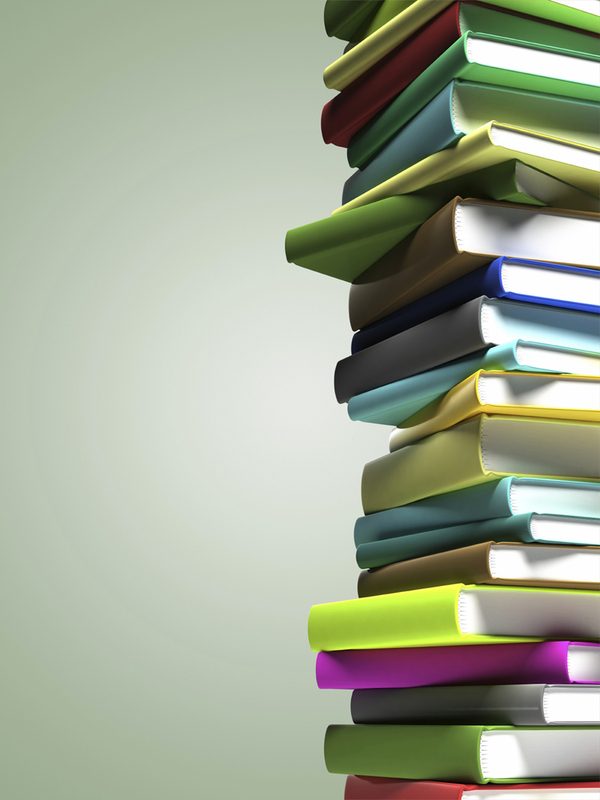 Title: What documents do I need to complete my financial aid application? Description: Filling out the FAFSA can be one of the toughest parts of attending college — but it doesn’t have to be. During this online workshop you will learn the best ways to fill out the FAFSA. Topics include using the IRS Data Retrieval Tool, navigating the applicant “Dependency Questions,” and more. All attendees will have the opportunity to ask questions regarding the application process. NOTE – Due to winter weather which impacted college operations, this hangout has been rescheduled to Friday, March 7, 2014. Title: What is Satisfactory Academic Progress (SAP) and how does it affect my financial aid status? Description: Financial aid students are required to meet federal financial aid standards for Satisfactory Academic Progress (SAP). Students that fail to meet these federal guidelines potentially might lose their financial aid eligibility. This workshop is designed to define the federal financial aid standards for Satisfactory Academic Progress (SAP) and discuss how failure to comply with these policies might impact a student’s future financial aid eligibility. Title: How do I apply for scholarships? Description: Students that fail to qualify for federal or state grants after completing the FAFSA process are encouraged to apply for CPCC Institutional Scholarships. This workshop is designed to explain the eligibility criteria needed to be considered for CPCC Institutional Scholarship offerings, outline the online scholarship application process and show students how to navigate the Academic Works scholarship portal in searching for available scholarship offerings. To find out about future hangouts and more, be sure to follow Central Piedmont Community College’s page on Google+. 1. If this is your first year, or if you are returning to school after a long break, take advantage of the First Year Experience (FYE). The FYE provides services such as campus tours, information sessions and a step-by-step application process into the program of your choice. 2. Relax! Brandi Lang, a sophomore at CPCC, said, “It is not as big of a deal as I thought it was going to be.” It is important to take a few minutes out of a busy day, to spend some time with yourself. Take a walk, make a list of your day’s triumphs, or try a few breathing techniques to relieve stress and restore a peaceful mind.” Andrew Weil, M.D. says, “Practicing regular, mindful breathing can be calming and energizing and can even help with stress-related health problems ranging from panic attacks to digestive disorders.” Attend Student Life events to relax; invite your friends! You can visit in between classes or you can go outside and breathe some fresh air. Did you know that there is a new greenway in front of Overcash on Central Campus? Levine Campus has a walking trail around the fountain in the back. Enjoy outdoor spaces at every CPCC campus! 3. Enroll in an ACA course! Collaborative Learning, English and Humanities Division Director, Laura Bazan says that the classes are designed to help students be more successful as college students and to help students to get a new start. The classes are designed to help students in different areas. ACA 111 is a short-session class called College Student Success that is about resources. ACA 118, or College Study Skills, is a semester-long course focused on becoming a master student. It reviews how to take notes, how to take tests, and how to improve your memory, reading skills and writing skills. It also deals with goal-setting and career choices. There are three other short-term courses as well, ACA 120, 121 and 122. These courses are transferable electives and are covered by financial aid. They are available at all campuses and online as well. Bazan says that many students have said that these classes really helped launch their college careers. She says the classes can help center you and help you get familiar with the people and places that are going to be helpful to you. Data shows that students who complete the courses are more likely to stay in college and have greater GPAs. 4. If you are falling behind in classes or just have some questions about a subject you are unsure about, visit your campus’s Academic Learning Center (ALC). This team specializes in helping students like us succeed in our courses. They provide tutoring and support to help strengthen any academic deficiencies. 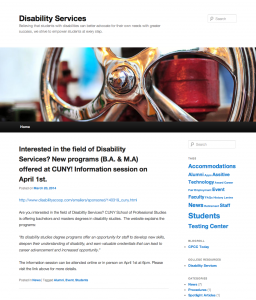 The ALC website includes a list of the courses they can help with, along with each campus and its dedicated hours and a phone number to contact them. 5. Last but not least, focus! “You just need to stay on the run,” says Kamau Ledbetter, a student in his second semester at CPCC. College is an exciting yet short-lived experience so soak it in! If this moment is hectic and stressful or enlightening and compelling, it will come and go. Make your experience memorable. Seek the help you need; it is accessible at your campus. Look at the road ahead and go for it. Success is waiting! With more than registered clubs and organizations, the options are endless for getting involved at CPCC! For a complete listing of available organizations, check out Student Life. emails to your personal email if you’d like? We want you to succeed and getting information to you quickly is key. If you have questions or need help forwarding your CPCC email, call the CPCC Helpdesk at 704.330.5000 for assistance. A student ID is required to be able to use the testing and fitness centers at the College. You will also need your student ID to check out materials from the Library (LRC). For locations and hours of operation, please visit Student ID Cards. Financial Aid has installed new technology to improve processing. Regrettably, a technical issue was discovered and resolved. If you faxed documents to us between March 15, 2013 through May 21, 2013, the documents may not have been received. Please fax the documents again to (704).330-5053 at your earliest convenience. We apologize, and we look forward to assisting you.